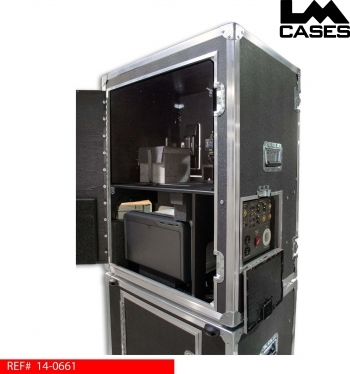 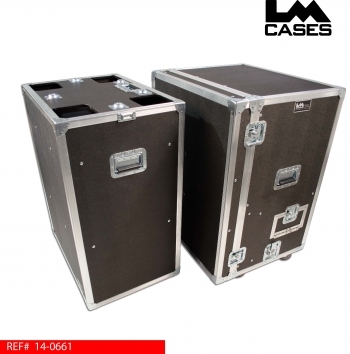 This case was designed for the Spencer Daniels Angency to be used as a portable photobooth system comprising of 2 cases: a top case that holds all of the equipment and a bottom case that holds all the support material. 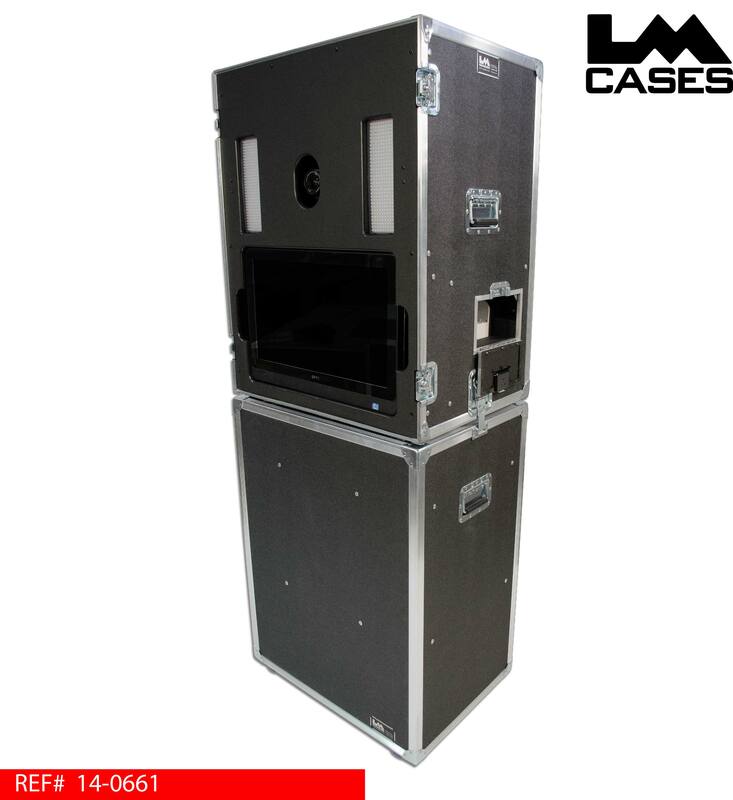 The top case features a custom CNC cut piece of 1/2" marine grade plastic that creates a front fascia to provides a finished look around the camera, computer, and lights. 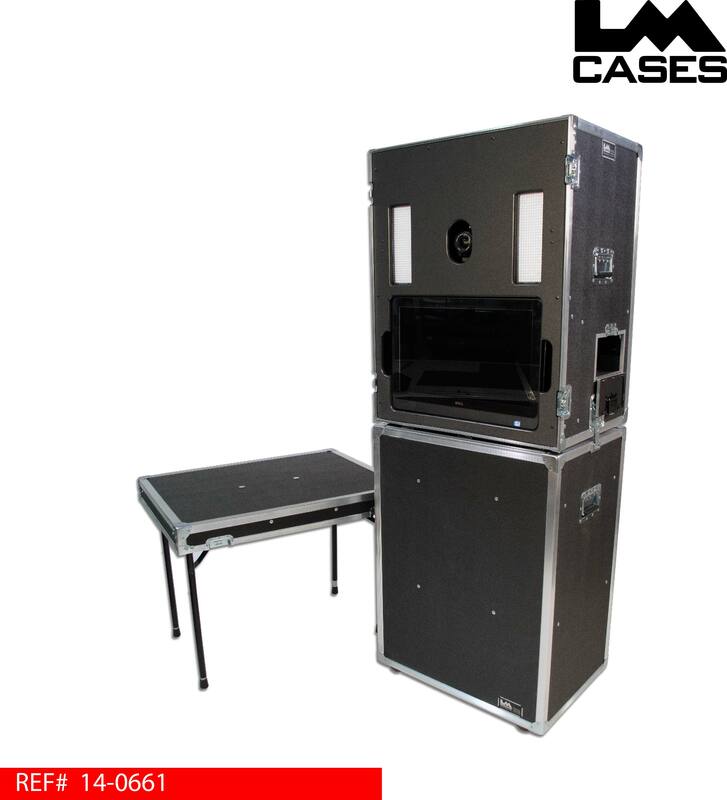 The computer is attached via a tilting Chief VESA mount allowing it to be moved to accommodate various client heights for previews. 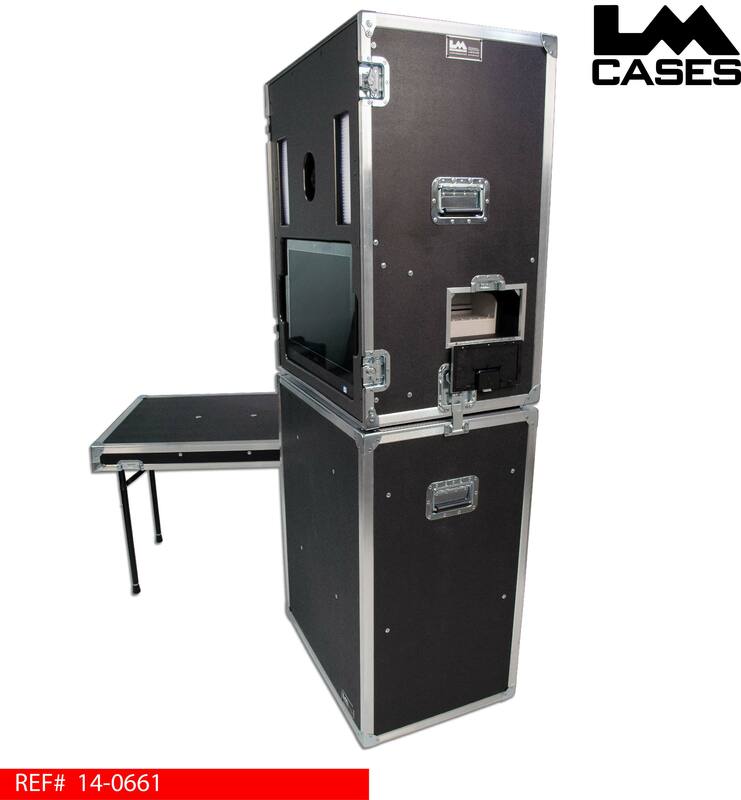 Behind the computer is a custom foam lined compartment that holds the Hiti printer. All inputs and outputs on the computer and printer are addressed by a custom panel that is accessible via the exterior of the case. 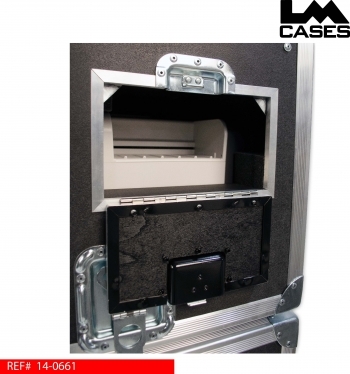 The panel alleviates the need to reach in the case and connect a cable for any reason. 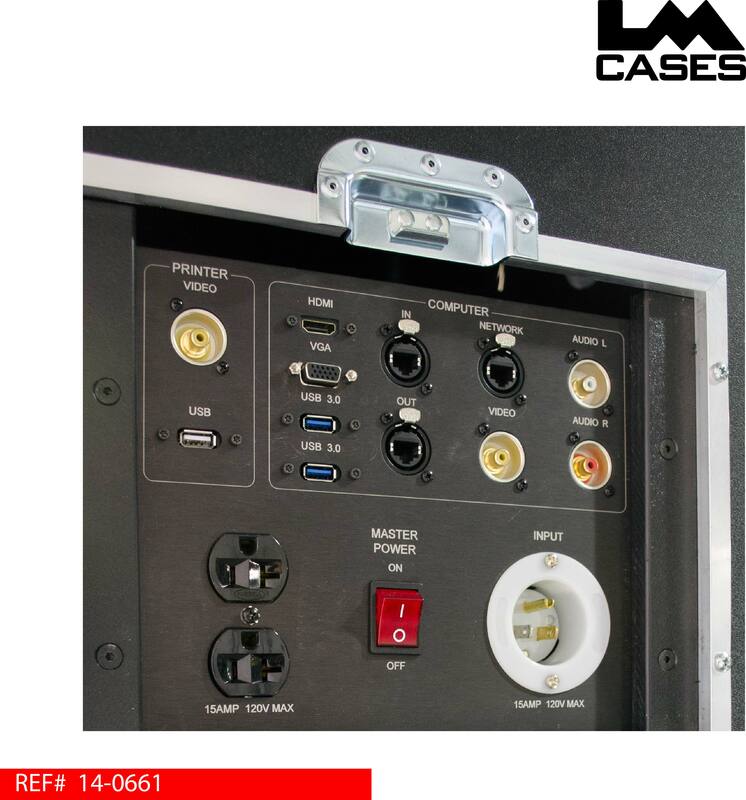 It also provides power for all components in the case: the panel has 4 duplex outlets on the back for a total of 8 outlets for the internal components. 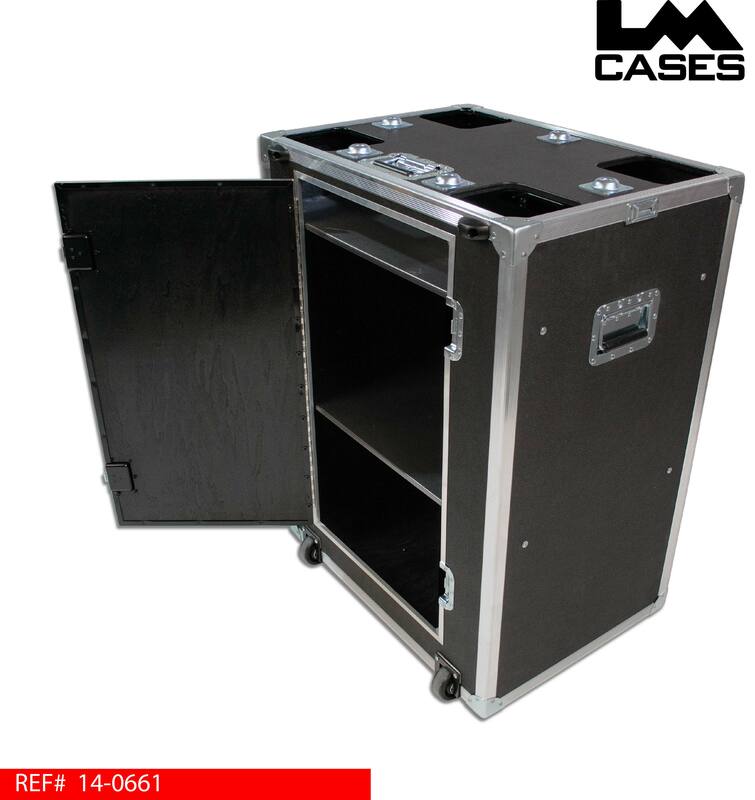 It also features a master illuminated power switch and courtesy duplex outlet on the front. The panel and wiring we built and installed by the LM Cases Custom Integration department. 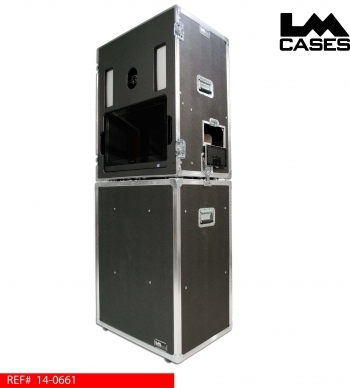 The camera is positioned on a Manfrotto mount allowing it to be moved and adjusted when necessary. The mount also features a quick release plate that allows the camera to be removed from the mount and easily stored in the cameras custom CNC cut foam insert. The top case is built out of 1/4" plywood laminated with black ABS to keep the weight down. 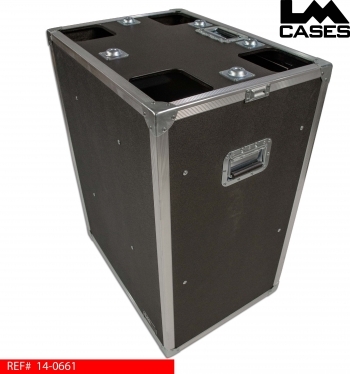 It features 3.5" casters and stacking feet that interlock into the bottom case and a removable front lid that turns into a table with adjustable legs. The bottom case is built out of 3/8" plywood and features stacking cups and 4 receiving cups that allow the casters from the top case to full enter create a minimal gap between the 2 cases. 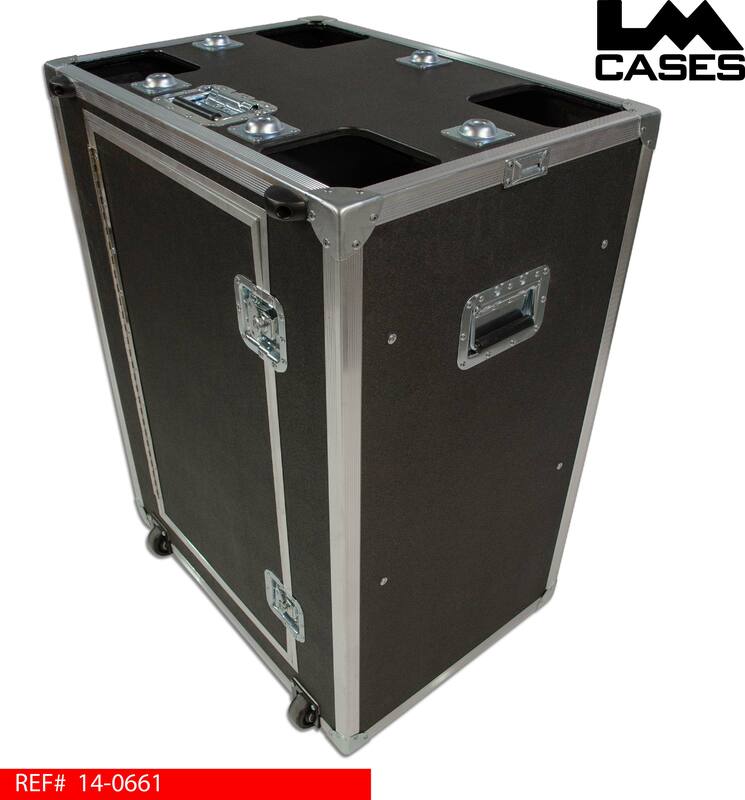 The accessory case is designed to hold items like ink, paper and extension cords to support the top case. 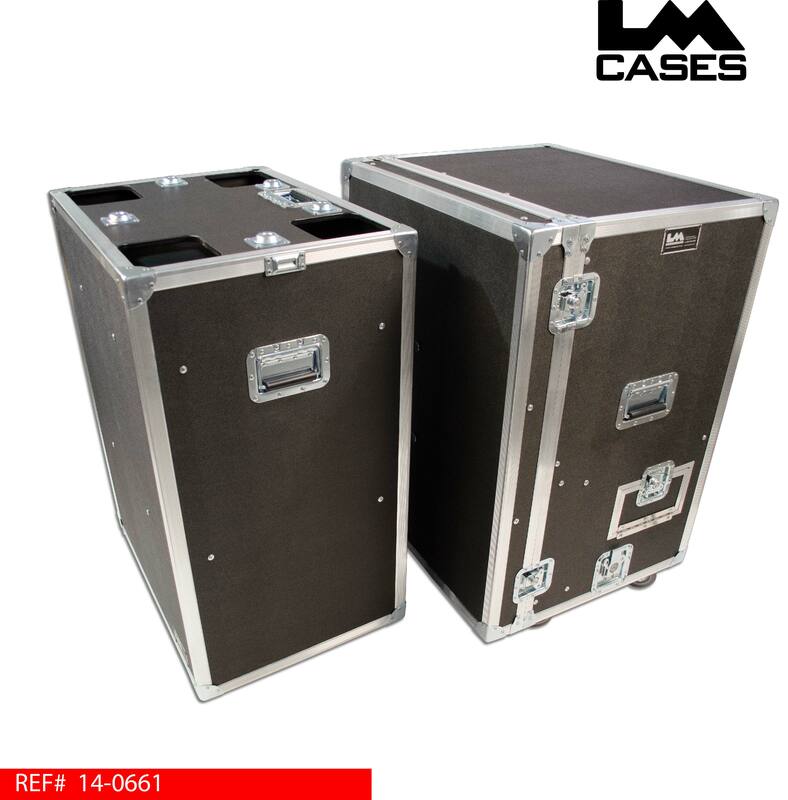 The bottom case is moved via 2 inboard dolly casters. Special thanks to Spencer Daniels for a great project!